to the home of Memphis Industries, a london based record label of repute. You Tell Me, a new project from Field Music’s Peter Brewis and Admiral Fallow member Sarah Hayes, have shared their new single "Water Cooler" via a interview with Noisey. Featuring Brewis on lead vocals, the track features shifting rhythms and inventive, unpredictable arrangements. Pre-order You Tell Me on CD and limited edition signed white vinyl from www.youtellme.co and exclusive white vinyl screen printed version from the Dinked network. Odetta Hartman will be coming back to Europe in January/February next year. Just in time for the holiday season, The Go! Team have released a signed flexi postcard featuring a rework of their festive classic, 'The Ice Storm'. The postcard is playable at 33 RPM on any standard turntable. Very, very limited and shipping from 10 December. Pre-order 'The Ice Storm' on signed flexi postcard from the go! team's website or bandcamp. We're incredibly excited to announce ROZI PLAIN has joined the Memphis Industries family! Her new album is fantastic and we can't wait for everyone to hear it - more news on that soon! Catch her live this January and February, playing Independent Venue Week. 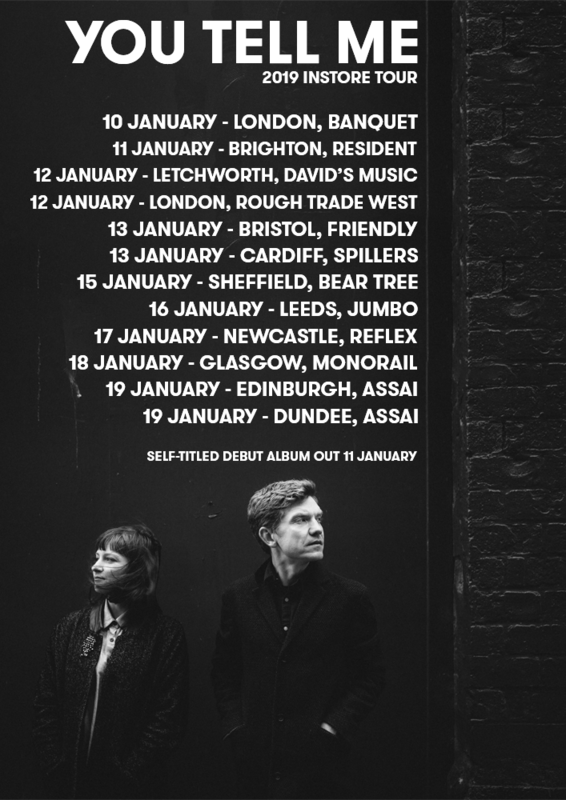 We're very excited to announce You Tell Me are going on a huge instore tour of the UK, playing their self-titled debut album at all your favourite record stores. Hit up your local store for details!